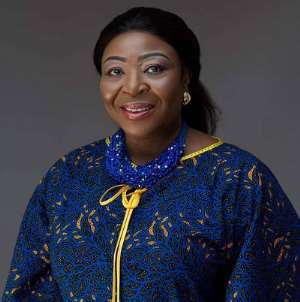 The Member of Parliament for Hohoe, Dr Bernice Adiku-Heloo is demanding the immediate placement of four traditional areas which have been left orphaned as a result of the creation of the new Oti Region. The areas which include Lolobi, Akpafu, Santrokofi and Likpe which were previously part of the Hohoe constituency now form part of the Oti Region but currently do not fall under any administrative district. The MP in an attempt to seek clarity on the status of the communities filed a question to the Minister for Regional Reorganisation Development, Dan Botwe seeking answers. Answering the question on the floor of Parliament last Thursday, the Minister who failed to adequately satisfy the concern of the Hohoe indicated that even though these areas fall under the new Oti Region, he could not answer as to which district or municipality they belonged. Interacting with media personnel letter in an interview, the MP hinted to further drag the Local Government Minister before Parliament to clarify the district or municipality status of Lolobi, Akpafu, Santrokofi and Likpe in the aftermath of the creation of the Oti Region. According to Dr Heloo, it is unfair for these communities most of who protested their inclusion in the Oti Region to be left in a dilemma describing the development as a breach of the constitution. “I want to know where in the constitution we can divide or call an area that is put in line or along with other districts traditional areas,” she queried. “So what exactly are they? Are they districts? Are they a municipality or they are they on their own or just hanging in Oti? So what are they?" She asked in frustration.